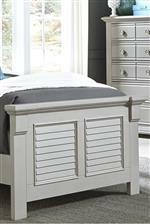 Transitionally-styled, this night stand presents exceptional craftsmanship. Featuring two fully finished drawers including one felt-lined top drawer, the piece is completed with bun feet and wooden knob hardware. 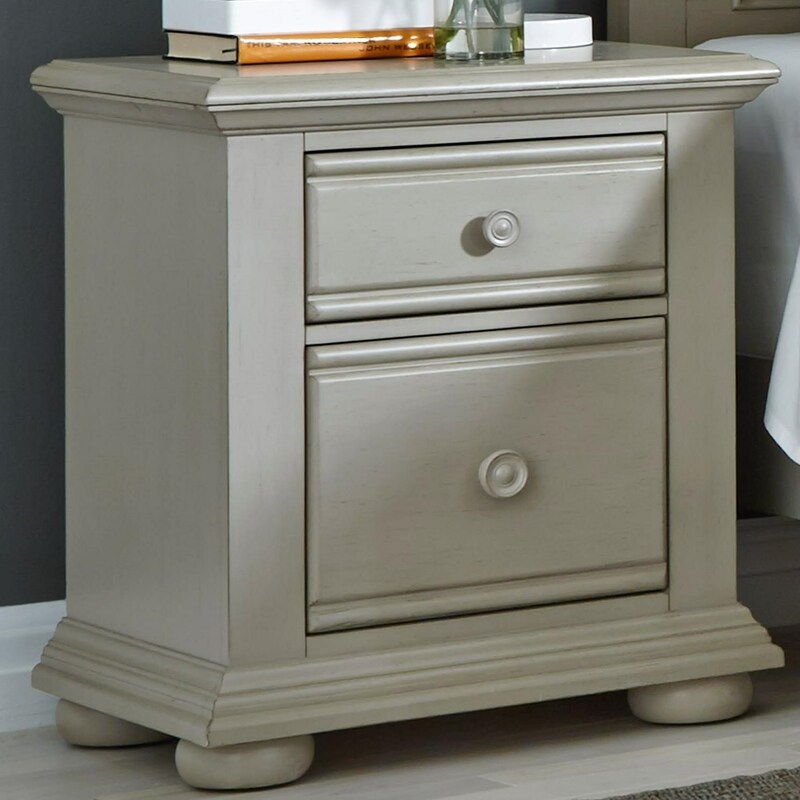 Highlighted by a dove gray finish, this night stand will is a perfect addition to your child's bedside. The Sumer House Youth 2 Drawer Night Stand with Felt-Lined Top Drawer by Liberty Furniture at Furniture Fair - North Carolina in the Jacksonville, Greenville, Goldsboro, New Bern, Rocky Mount, Wilmington NC area. Product availability may vary. Contact us for the most current availability on this product. Storage Two fully stained interior drawers. Top drawer includes felt-lining. The Sumer House Youth collection is a great option if you are looking for Transitional furniture in the Jacksonville, Greenville, Goldsboro, New Bern, Rocky Mount, Wilmington NC area.